Dr. Douglas Wilcox explains the importance of water level fluctuation changes for the maintenance of wet meadows and a healthy St. Lawrence River ecosystem. 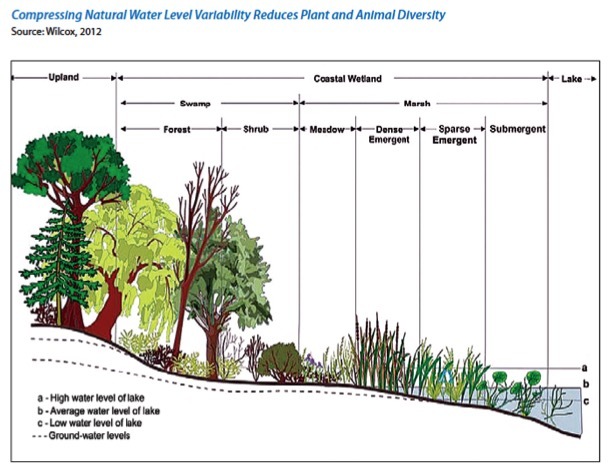 Implementation of Plan 2014 will allow for more natural variability in water levels. 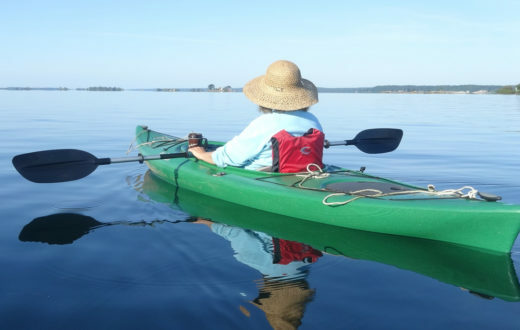 Guest post by Dr. Douglas Wilcox is a part of our America’s Most Endangered Rivers® series spotlighting the St. Lawrence River. 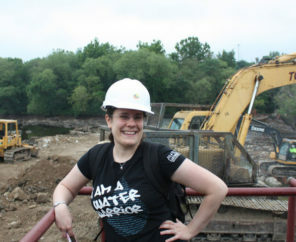 With 30 years in federal service, more recently with the U.S. Geological Survey, and the last eight years at Brockport, I’ve studied and worked on Great Lakes wetlands my entire career. The underlying theme in all of my research findings has been that hydrology (lake level) is an overriding force that controls wetland function. Needless to say, I thoroughly understand the ways that lake-level fluctuations affect Great Lakes wetlands and how water-level regulation affects the St. Lawrence River and Lake Ontario. 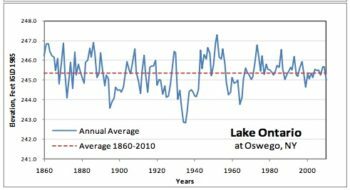 During that professional career, my research team developed a 4,700-year paleo record of lake levels in lakes Michigan-Huron that shows regular patterns in fluctuations, with high/low cycles roughly every 32 years and longer-term cycles of about 160 years. This variability has shaped the evolution of the vital native species that grace Great Lakes wetlands, including Lake Ontario and the St. Lawrence River. So, how do these fluctuations affect wetlands and impact wildlife? If you look at the horizontal line A in the figure above, you will see the highest high Lake Ontario experiences. Anywhere above that line never gets flooded. Horizontal line C in this figure shows the lowest low Lake Ontario will experience. Anything below that line always has standing water on it. The broad area between the lines is the action zone. It gets flooded sometimes and dewatered other times. When water levels rise and fall throughout Lake Ontario’s natural cadence, the system remains in balance. During periods when high lake levels are naturally higher, invasive plants like cattails are flooded out, as are invading trees and shrubs from the upland. During periods when lake levels are naturally lower, sediments and the seed bank are exposed, allowing native species that have deposited their seeds a chance to grow. The sediments also become too dry to support invading cattails, providing a competitive advantage to wet meadow plants that can tolerate low soil moisture. This has been happening for thousands of years, and the biological communities, both plant and animal, have evolved to depend on those conditions. 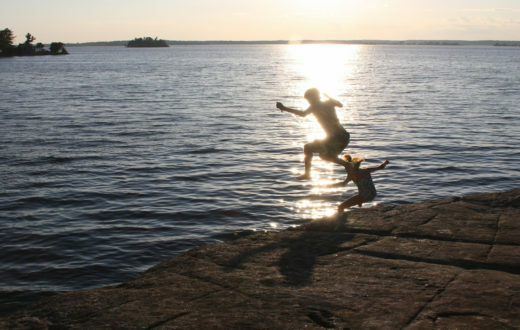 In some areas, once sandy beaches have been replaced with shoreline armoring to protect property from high lake levels, while the shoreline never receives the periodic lows needed to replenish the beach. Shoreline processes are disrupted, and barrier beaches that protect some of the wetlands lose the sand they need. Areas at higher elevations in wetlands that are covered by wet meadows, a major component of coastal wetlands, have been greatly reduced because they have lost the competitive advantage provided by periodic low lake levels during the summer growing season. Cattails, which cannot tolerate low lake levels, invaded the wetlands and replaced the wet meadows. Without natural variation in water levels, invasive cattails have created monocultures where vibrant ecosystems once stood. Northern pike adults feed in these wetlands. The adults spawn in the flooded wet meadow; the young live and grow up in wetlands. When water levels are kept low over the winter and early spring, there is no water for the northern pike to access wetlands and spawn. Consequently, northern pike populations have been reduced by 70% under the current water-level regulation plan. Muskrats, an important species that eats cattails and uses them to build houses, are now rare in Lake Ontario and St. Lawrence River wetlands because their houses are left high and dry in the winter when the current water-level regulation plan draws winter lake levels down too low. When muskrats cannot fulfill their natural role in eating and controlling cattails, there is a lot of reduction in fish and wildlife habitat. This is why the new water-level regulation plan, Plan 2014, is so important. Plan 2014 will ensure that water levels are managed in a scientifically-defensible manner. Plan 2014 includes triggers that change to reflect the season. In the summer, the triggers reflect high lake levels that could damage property; in the spring and fall, the triggers reflect low lake levels that could impact boating and other activities. 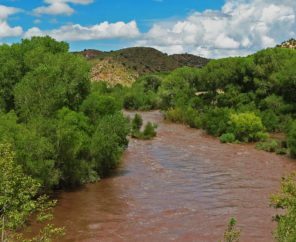 If lake and river start to approach these seasonally-adjusted trigger levels, the International Joint Commission’s Board of Control will act to regulate water levels accordingly and protect shoreline-property and other interests before the triggers are reached. More importantly, during years with low water supplies to the Lake Ontario watershed, Plan 2014 will allow lake levels to be lower in the summer rather than keeping them unnaturally high, thus benefitting wet meadows rather than cattails. 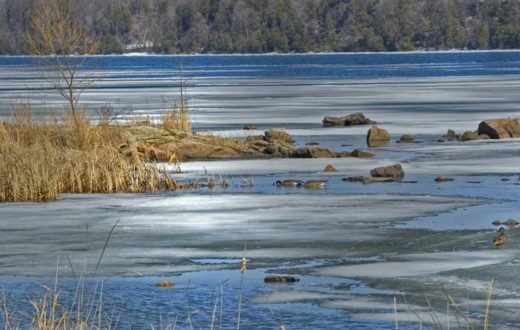 During years with adequate water supplies, Plan 2014 will allow winter and spring lake levels to remain slightly higher to support fish and muskrat populations. Plan 2014 seeks to reestablish more natural environmental conditions while continuing to provide support for other interests and should be supported by everyone. Dr. Douglas A. Wilcox is the Empire Innovation Professor of Wetland Science at SUNY—The College at Brockport. Dr. Wilcox is an expert in wetland ecology, with an emphasis on the influence of hydrology, climate change, and human disturbance on wetland plant communities.